This sculptural detail from one of Paris's most beloved landmarks, the Fontaine Saint-Michel, is captured in three-dimensional detail in high-quality bonded natural marble. 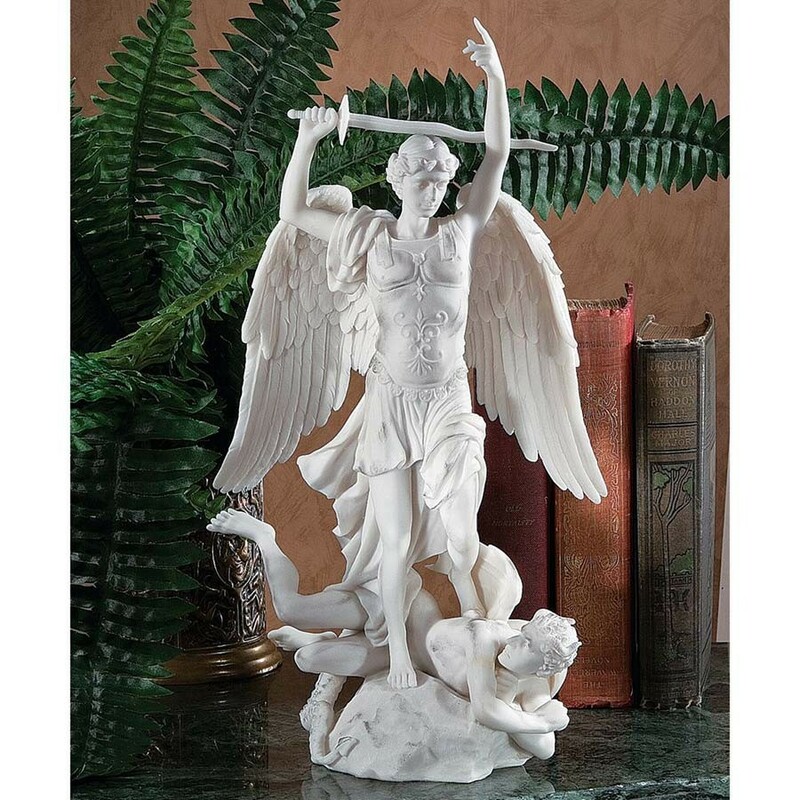 With sword held high in the final moment of Satan's defeat, this museum-quality work of art is a testament to St. Michael's strength and to the exquisite sculpture of Frenchman Duret. The Fontaine Saint-Michel was the centerpiece of Baron Haussmann's Rapris Reconstruction during the Second Empire.